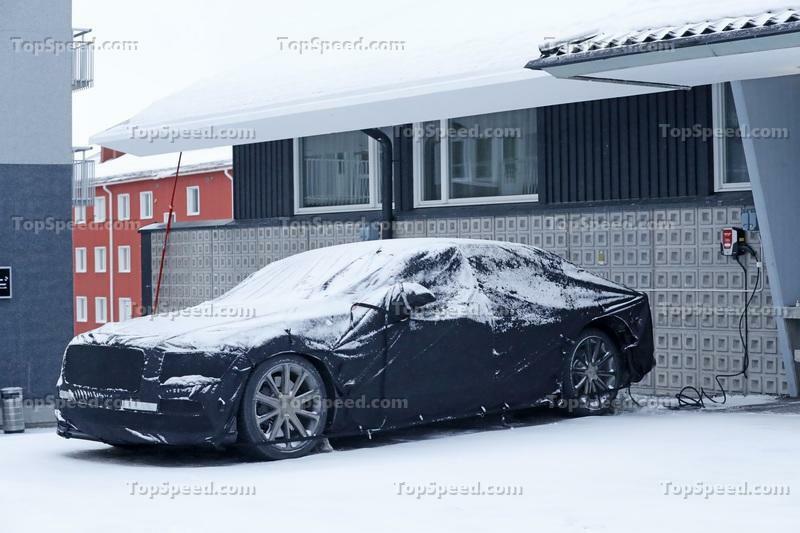 It’s pretty obvious that this sedan looks identical to Flying Spur prototypes we’ve seen in the past, but how do we know it’s a plug-in hybrid model? Well, our paparazzi spotted it while connected to a charging station. It also has an extra "fuel" cap on the left rear fender, that hides the charging port. Beyond this, it identical to the regular Flying Spur. Although it maintains some of its predecessor’s lines, the new Flying Spur features the company’s newest design language, introduced on the Continental GT. It has the wider grille and sits lower in the fascia, the sportier front bumper, redesigned jewel-like headlamps, and sleeker taillights. While the latter aren’t oval like on the coupe, they were designed to look like two red oval lights under a plastic cover. 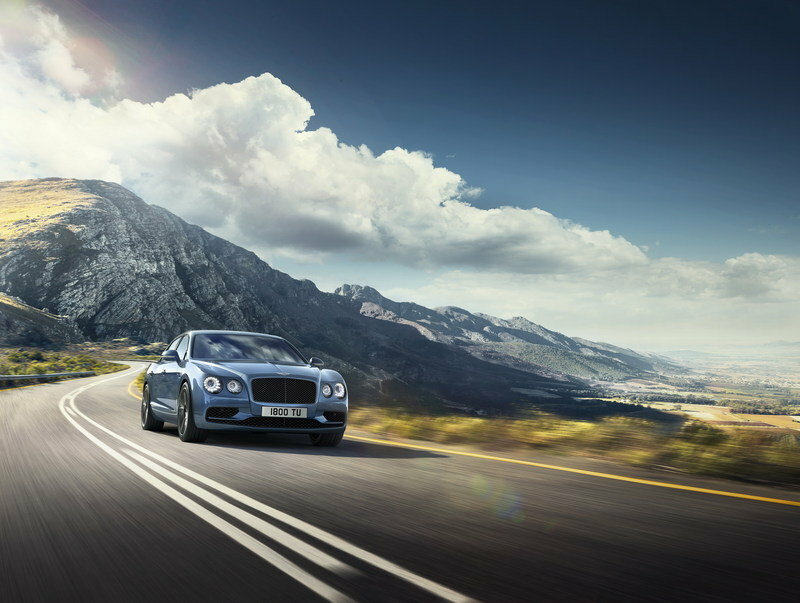 The Flying Spur also borrows the bumper design and the oval exhaust pipes from the Continental GT. Compared to its predecessor, the upcoming Flying Spur seems to have a slightly longer wheelbase, but this doesn’t mean it’s longer overall. The overhangs also seem a bit shorter, so Bentley just reconfigured the body in order to obtain the longer wheelbase. The doors are a bit different too. The cutouts have more rounded sides, and the rear doors seem to extend just a bit more over the wheel arches. Coupled with the raked rear window and revised C-pillars, it gives the sedan a more elegant look. The raised trunk lid design that sits above the beltline appears to carry over from the old model and it also seems that Bentley still uses a squared-off deck toward the rear fascia. It doesn’t look particularly well now that the license place recess was moved into the bumper, but I’m hoping it’s just some sort of camo placed there to throw us off. The Flying Spur should be very similar to the Continental GT inside the cabin, so look for the same layout inspired by the EXP10 Speed 6 concept. 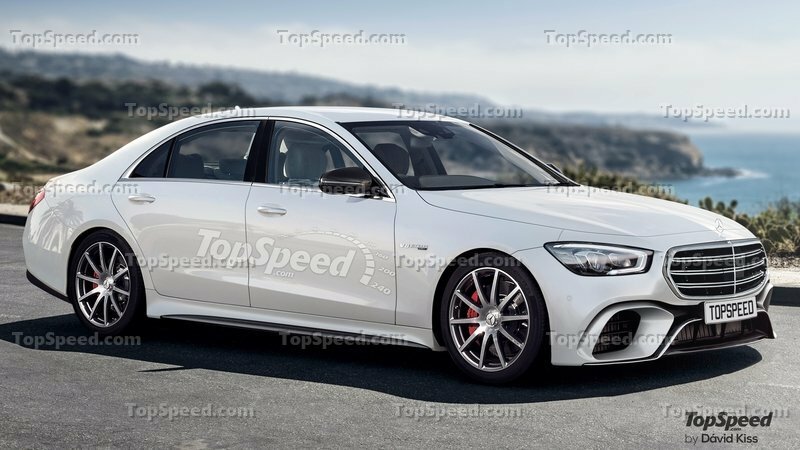 It should have a wide instrument cluster, a wrap-around dashboard that extends into the door panels, and a tall center console to separate the front seats. 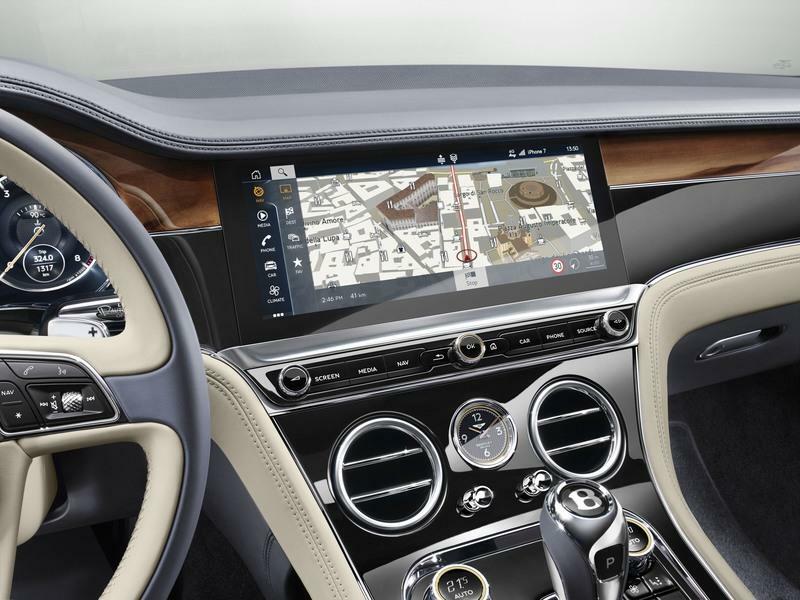 The GT’s infotainment display, called the Bentley Rotating Display, will also find its way into the sedan. It’s a big 12.3-inch touchscreen housed in a three-sided unit that revolves in the center stack. When the car is not in use, it appears to be no screen in the center of the dashboard, with the wood veneer flowing uninterrupted across the dashboard. When the engine start button is pressed, however, the veneer glides forward and rotates to reveal the screen. The third side of the display reveals three analogue dials that show outside temperature, a compass, and a chronometer. The instrument cluster will include two digital clocks with 3D LED lights that make the dials seem analogue and a big screen in the middle for high-resolution maps and information. Most surfaces will be wrapped in fine leather with contrast stitching, Alcantara, and other premium materials from the Mulliner division. The 20-way adjustable seats should have heating, cooling, and massage function as standard. 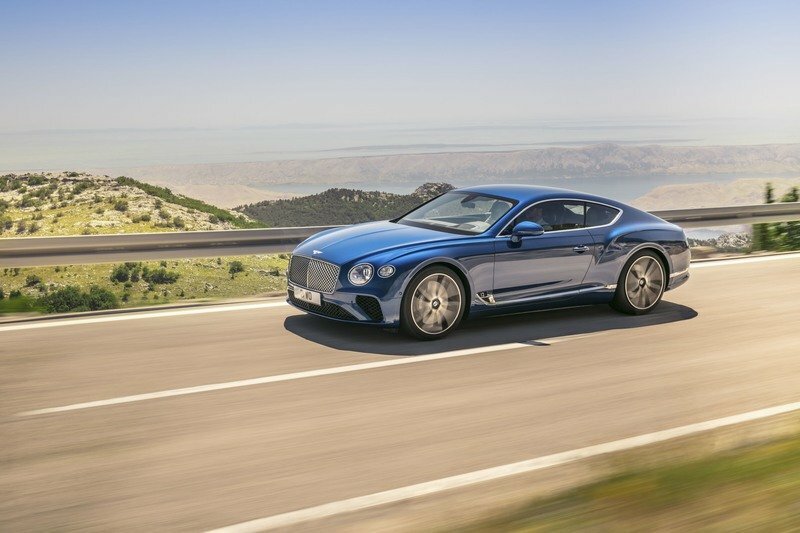 Apple CarPlay, real-time traffic, and Private eCall for emergency services will also be transferred from the Continental GT. As far as unique features go, the hybrid will have a revised instrument cluster. The traditional speedometer will make way for a special dial when the car is operating in pure EV mode. A battery status will also replace the coolant temperature gauge so you can keep an eye on range. The infotainment screen will also have additional features, like an energy flow display for the electric and hybrid modes, as well as a notification to whether energy is flowing back to the battery in order to charge it. 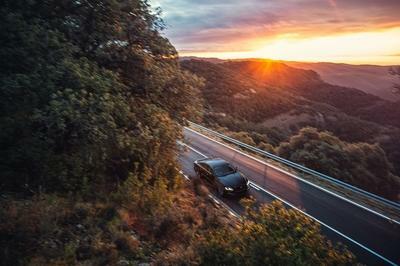 The Flying Spur Hybrid will most likely share its drivetrain with the Bentayga Hybrid, the company’s first electrified vehicle. The SUV pairs a 3.0-liter V-6 gasoline engine to an electric motor that also operates as a generator. Also shared with the Porsche Panamera E-Hybrid, the twin-turbo V-6 delivers 325 horsepower and 332 pound-feet of torque, while the electric motor generates 134 horses and 295 pound-feet. Total system output sits at 456 horsepower and 516 pound-feet in both the Bentayga and the Panamera and it should be identical in the Flying Spur as well. While it won’t be as powerful as the W-12 and V-8 versions, the hybrid will hit 60 mph in less than six seconds, a respectable figure for a vehicle of this size. Top speed should be limited to around 160 mph, a notable drop from the 180+ speed of the W-12 variant. 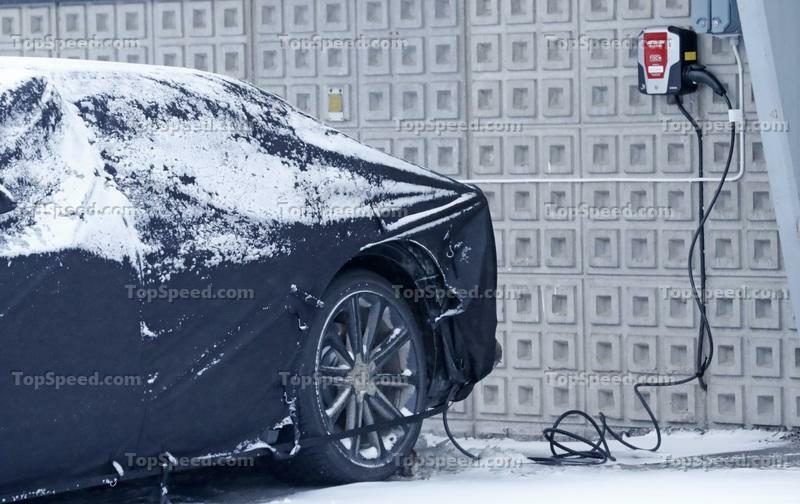 Like any hybrid out there, the Flying Spur will have an EV mode that will enable it to work on electric power alone. The Bentayga comes with a 31-mile range before the gas engine kicks in and the sedan should have a similar rating. This is far from impressive when compared to actual EVs, but it slightly better than some hybrids on the market. Charging the battery from empty to full should take around 7.5 hours with a domestic household and only 2.5 hours with an industrial connection. 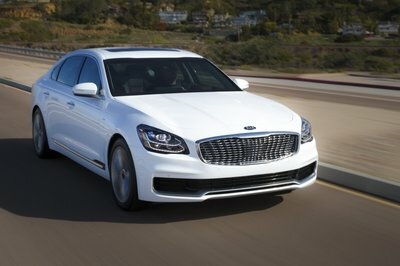 The Flying Spur Hybrid will also share the MSB-F platform with the Porsche Panamera. 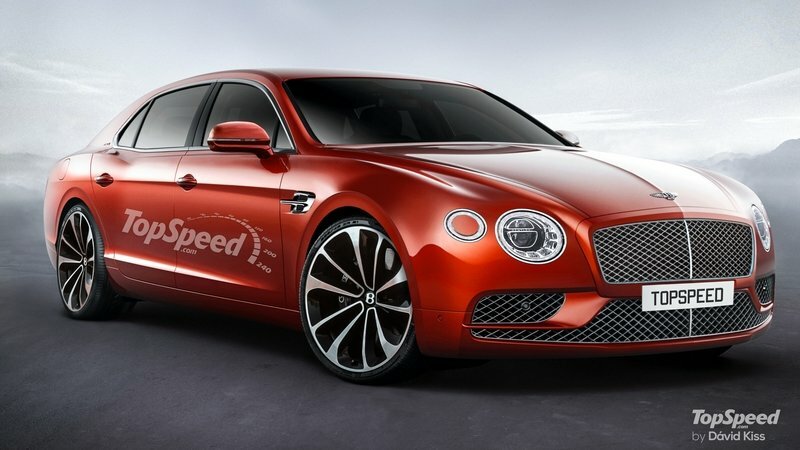 It will be a bit longer, but it will enable Bentley to use every drivetrain available in the German sedan. This means that the V-6 hybrid could be joined by the Panamera’s V-8 combo. Offered in the Turbo S E-Hybrid, this layout combined a twin-turbo V-8 rated at 542 horsepower and 568 pound-feet with the same electric total. The total system output is an impressive 671 horsepower and 627 pound-feet. Bentley could offer this drivetrain in a Speed or SuperSports version of the Flying Spur Hybrid, but it’s pure speculation as of this writing. The hybrid model will probably cost a bit more than the base V-8 version, but it shouldn’t be more expensive than the W-12 model. With the latter likely to start from around $250,000, the gas-battery sedan should come in at around $230,000 before options. There aren’t many plug-in hybrids in the full-size market, but until Rolls-Royce comes up with a proper Ghost to go against the Flying Spur, Mercedes-Benz has the S560E on offer. Basically identical to the regular model inside and out, the S560E has what it takes to compete against the Flying Spur. It’s elegant, loaded with modern tech, and the cabin is draped in soft, premium materials. Under the hood, Mercedes dropped a 3.0-liter V-6 that produces 367 horsepower and 369 pound-feet of torque, a 121-horsepower electric motor, and a nine-speed automatic transmission. The system cranks out a total of 467 horsepower and 516 pound-feet. 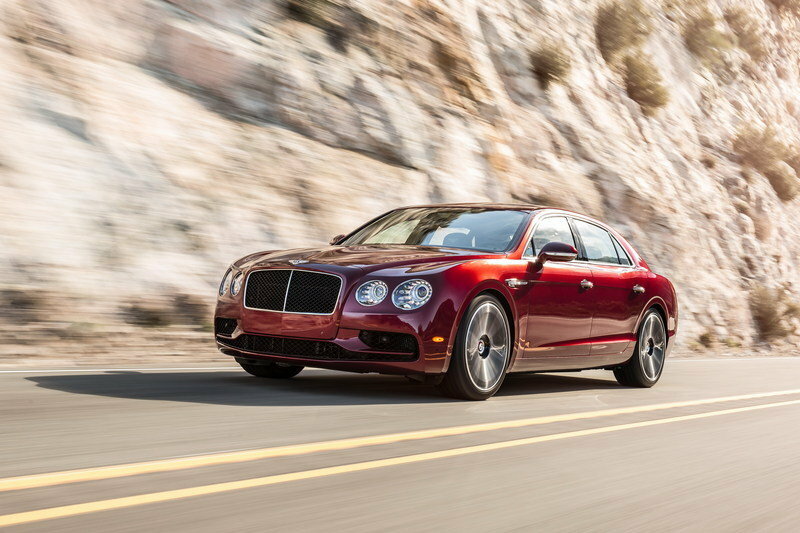 That’s only 11 horsepower more than the Flying Spur Hybrid. Its all-electric range is also identical at 31 miles, while the sprint to 60 mph takes around five seconds. There is an issue though: the S650E hybrid isn’t yet available in the United States. 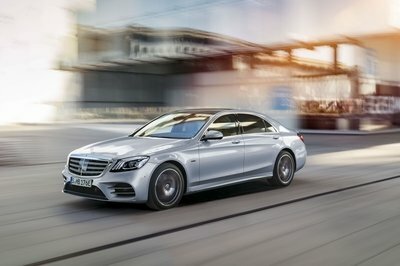 Read our full story on the Mercedes-Benz S-Class. BMW’s latest 7 Series also comes with a hybrid version. 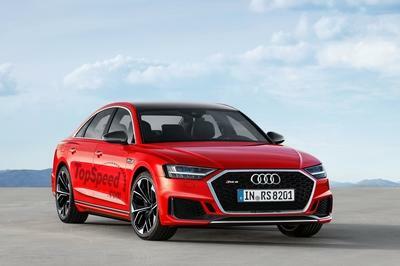 Originally launched with a four-cylinder engine, the German hybrid was revised in 2019 and fitted with a 3.0-liter inline-six alongisde the electric motor. Rated at 385 horsepower and 442 pound-feet of torque, the 745e might not be as powerful as its competitors, but it’s a solid choice in a market where oomph isn’t that important. It hits 60 mph in around 5.1 seconds and it can run on battery power for up to 36 miles, five miles more than the Bentley and the Mercedes-Benz. Refreshed for the 2019 model year, the 7 Series sports a massive kidney grille and fresh details all around. Inside the cabin it has bigger displays, voice assistant, and an extended Traffic Jam assist package. Unlike the S-Class hybrid, the 745e iPerformance is available in the U.S. Pricing starts from $95,550. 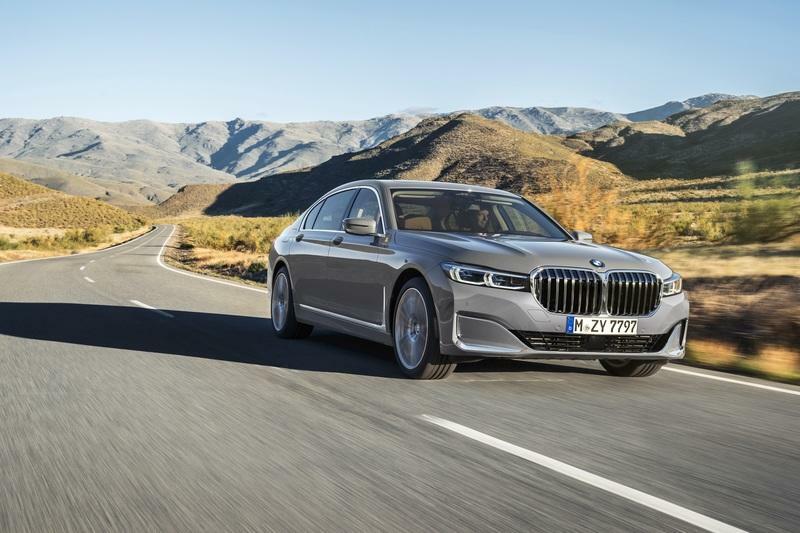 Read our full review of the 2020 BMW 7 Series. Bentley made an important step in the luxury SUV market by launching the Bentayga Hybrid and now it’s doing the same thing in the full-size car segment. Without an actual competitor from Rolls-Royce, the Flying Spur will have the ultra-luxury hybrid market for itself for a few years. 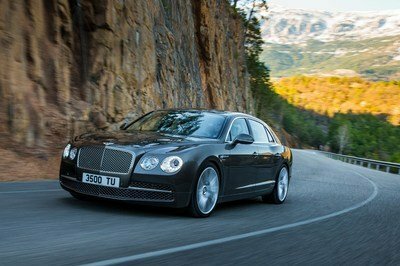 And even though BMW and Mercedes-Benz will steal some customers thanks to their more affordable models, Bentley will remain a unique offering. Of course, the new Flying Spur is still a few months away and it’s too early to make predictions, but it’s pretty obvious that Bentley is moving in the right direction. 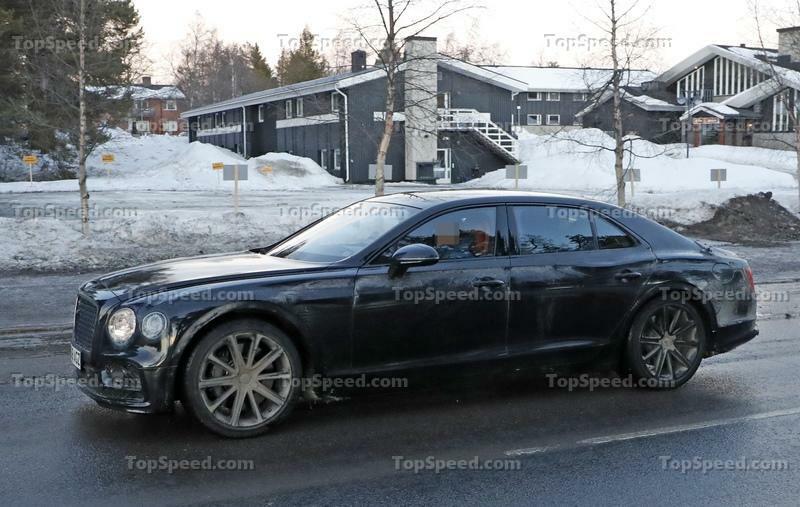 Read our full speculative review on the 2019 Bentley Flying Spur.